Cherry tree is back with an excellent assortment of drool worthy beads. 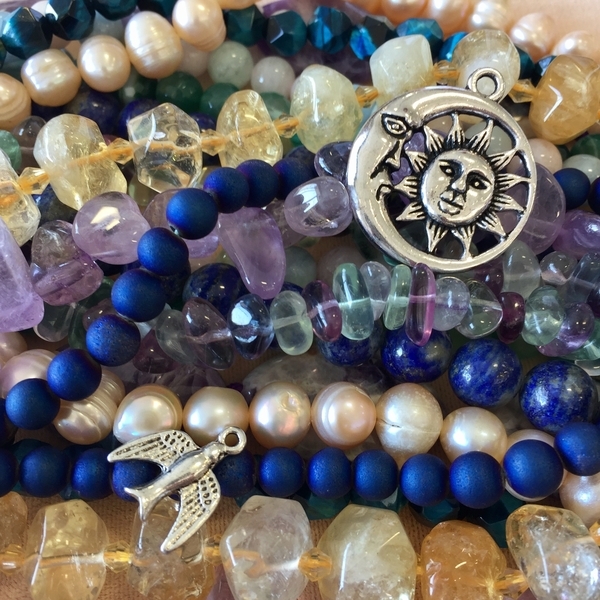 We will have gemstone beads in 8" and 16" strands as well as gemstone and Druzy pendants ready for hanging on your favorite chain or cord. Pewter findings, charms and beads, electro-hematite, shell and more! Come check out a great selection of beads and get more bang for your buck while you're at it!